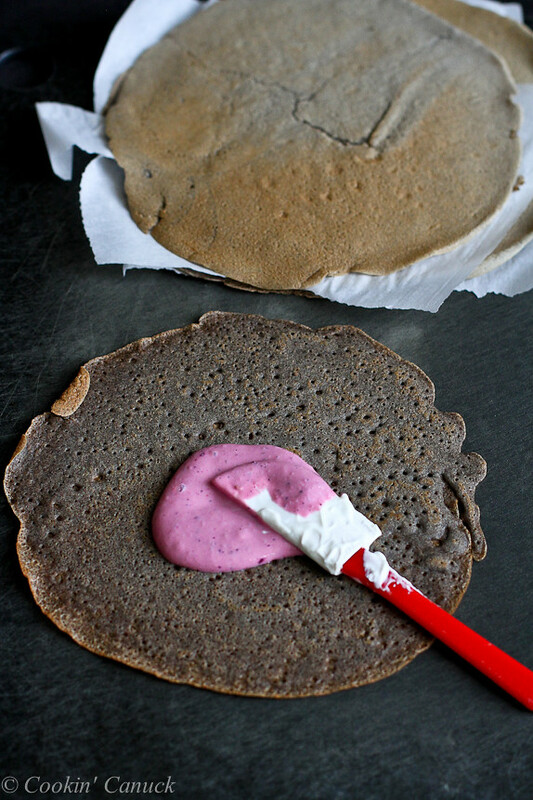 Whip up these healthy buckwheat crepes, filled with a blended berry yogurt, for breakfast or dessert. Thank you to the United Dairy Industry of Michigan for helping me to share this post with you! We’re moving into Week 5 of the Healthy New Year 6-Week Challenge! It’s been really exciting for Liz and I to see how you’ve embraced the previous weeks’ challenges: hydration, exercise, portion control and adding whole grains. If you would like to join our challenge Facebook page, come on over! It’s a fantastic, supportive community with lots of information to share. It’s time to tackle something that is near and dear to my heart (and stomach). The Week 5 challenge is Boosting Protein. 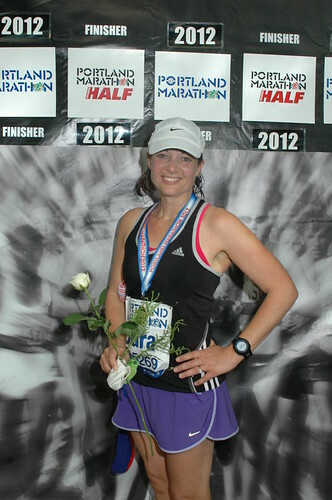 I’ll never forget the feeling of complete fatigue and depletion that I experienced after crossing the finish line of the Portland Marathon. I ran strong in the last two miles, pushing my muscles, lungs and mind. As soon as I finished and slowed to a walk, my body cried out for fuel. I grabbed the first thing in sight, chocolate milk, and downed the whole bottle. Immediately, I could feel my body start to recover. I suppose I shouldn’t have been surprised, as I had read that chocolate milk is known to be a good recovery drink after endurance training or events because of its high carbohydrate and protein content. I just couldn’t believe how quickly it worked! However, protein isn’t just for recovery. The essential amino acids in a high quality protein help your body build and maintain muscles and organs. I also find that consuming some sort of protein with each meal helps to power me through the day, filling me up so I don’t munch on empty calories (junk food!). My mum and I like to give each other high-5s because of our high bone density (thank you, genetics), but it’s a well-known fact that women start to lose bone mass around age 40. Performing weight bearing exercises and consuming high quality protein, calcium and vitamin D from dairy foods can all help to slow down this loss. Milk: 8 grams per 8 oz. Greek yogurt: 14-18 grams per 6 oz. Tofu: 6 grams per 3 oz. 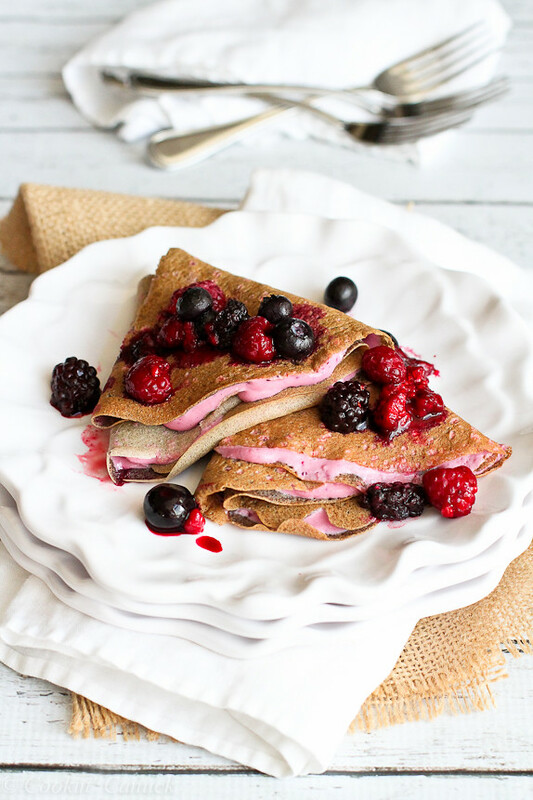 These crepes can be served for either breakfast or dessert, and are a great source of both protein and whole grains. The protein comes in the form of milk, yogurt, buckwheat flour and whole wheat pastry flour. Of course you could use a pre-flavored yogurt for the filling, but I like to know exactly what is in my yogurt, which is why I started with plain Greek yogurt and sweetened it with frozen berries and maple syrup. You don’t need a fancy crepe pan for this recipe, though I’m always happy to give you an excuse to buy a cool new pan. Alternatively, you can use a nonstick skillet. Be sure to head over to Liz’s blog to read about her take on boosting protein and check out her amazing Turkey Black Bean Chili with Sriracha and Yogurt. Comfort food with a twist! A challenge is always so much more fun, and dare we say easier, when you have challenge buddies to keep you motivated and exchange ideas with. Liz and I are excited to share ideas with all of you in our Facebook group, and on Twitter and Instagram using the hashtag #HealthyNewYear. 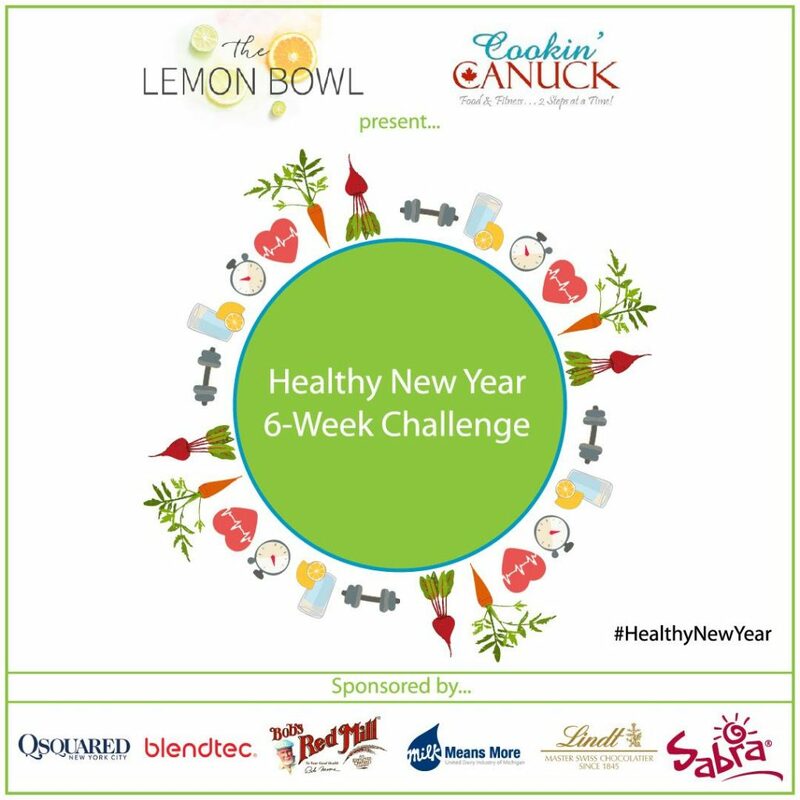 Be sure to tag Liz (@thelemonbowl) and me (@cookincanuck) on Instagram when you post a #HealthyNewYear photo, and feel free to share your photos, ideas and questions in the Facebook group. These healthy crepes are perfect for dessert or breakfast. In a blender, combine the eggs, whole wheat pastry flour, buckwheat flour, milk, water, melted butter, maple syrup and salt. Blend until smooth. Transfer to a pitcher or bowl, cover and refrigerate for 1 to 8 hours. Remove the crepe batter from the fridge and stir. Heat a 9- or 10-inch crepe pan or nonstick skillet over medium-high heat. Lift the pan from the heat, pour ¼ cup crepe batter on the the pan in a circular motion and swirl to evenly coat the pan. Place the pan back on the heat and cook until the center of the crepe is almost dry and the edges are lightly browned. Using a spatula, flip the crepe and cook for additional 15 seconds. Remove the crepe from the pan and place on a clean kitchen towel. Repeat with the remaining batter, separating the cooked crepes with parchment or wax paper. 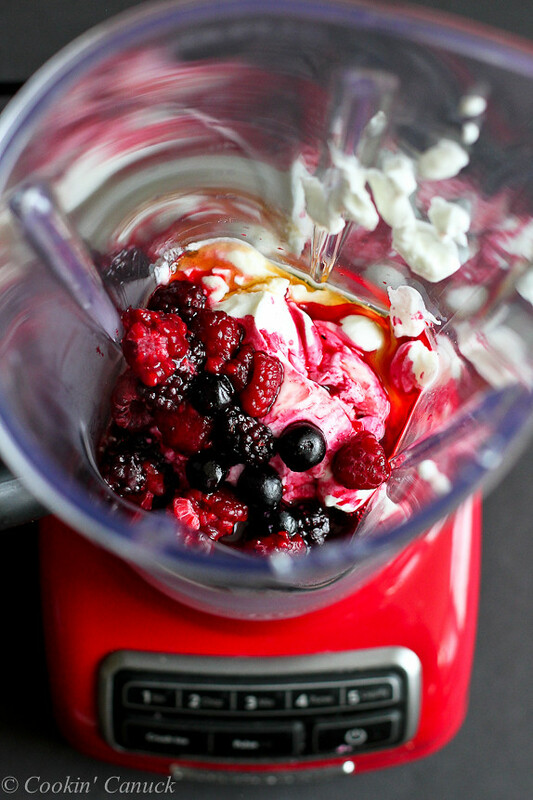 Before cooking the crepes, place ½ cup of the defrosted berries, maple syrup and yogurt in a blender. Blend until smooth. Spread 2 tablespoons of the yogurt on one crepe and fold the crepe into a triangle. Repeat with the remaining crepes and yogurt. 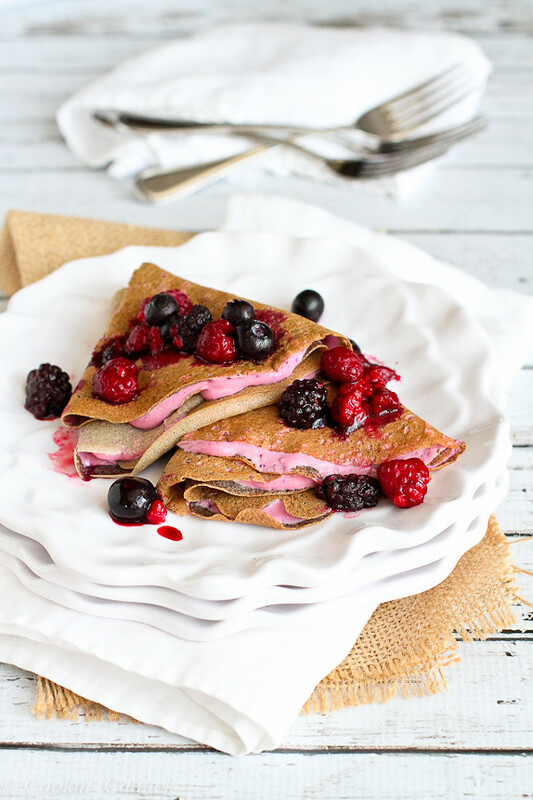 Serve each filled crepes with 1 tablespoons defrosted berries. Disclosure: This post is sponsored by the United Dairy Industry of Michigan. All opinions are my own. This post contains links to my Amazon affiliate page. Any revenue made from sales through these links helps to support this blog. Thank you! Oh my goodness Dara you’ve outdone yourself!!! This is stunning! I love the buckwheat powder!! I LUHHHHVE these! Protein is totally my life. I am always hounding my husband to get more of it, and I make sure I eat a ton of it throughout the day! Buckwheat is also SUPAH tasty, so these are my most perfect breakfast. Pinned! Dara, those crepes look absolutely perfect. That berry filling is stunning. I can’t wait to give this recipe a try. Pinned. Yum! What a healthy way to eat crepes! What beautiful crepes, Dara. I love this healthier version, I really need to try these. I would always drink chocolate milk after my runs. wonderful recipe. Crepes are my favorite. I love how these look and know they would make an excellent breakfast or lunch any day! Yum! These crepes look amazing and so do you! I love berries for breakfast, and with creeps, too good! 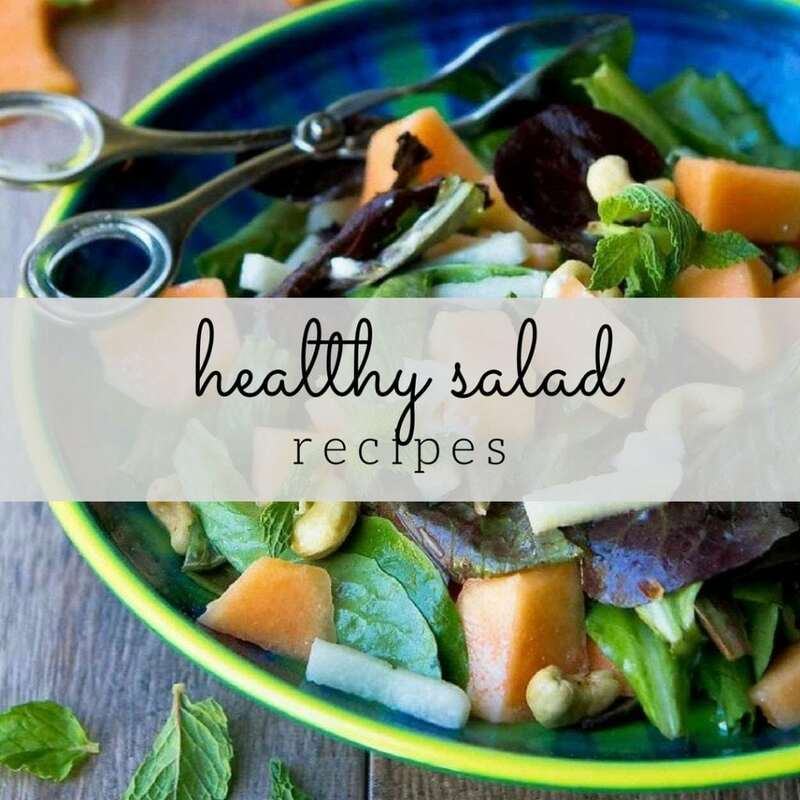 I’m so proud of you ladies for doing this 6 week healthy challenge, it’s such a wonderful idea! Chocolate milk after a marathon is a magically delicious thing. During the race it doesn’t sound so great, but after…you’ll find me cracking open a cold one! These crepes are so delicious looking, I’m so excited to try them! These crepes look absolutely wonderful! 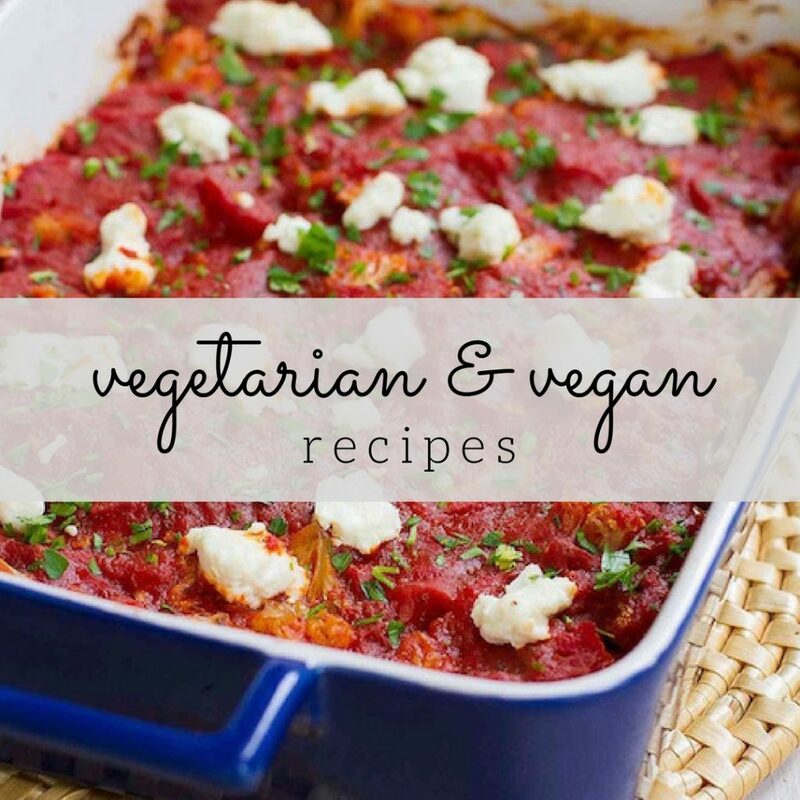 I love that you loaded this recipe with natural sources of protein. Pinning this for later! LOVE crepes. And good tip on getting that protein – never would have thought to choose chocolate milk after a long run. I love these buckheat crepes. Such a great idea and so delicious. These look gorgeous! I love that you incorporated some buckwheat as well. I haven’t used it in the longest time but I need to add some back in my life! Those are amazing looking crepes – just amazing; is it not amazing how our body automatically refuels from certain foods. I actually have not tried chocolate milk to reboot but it sure sounds perfect and yummy. Congratulations on high bone density that is really awesome. What a fabulous breakfast! I can’t believe it is only 3 WW points per serving! This looks amazing! Love the use of buckwheat! These crepes are just beautiful! With the pink filling peeking out, they would be just perfect for Valentine’s Day. 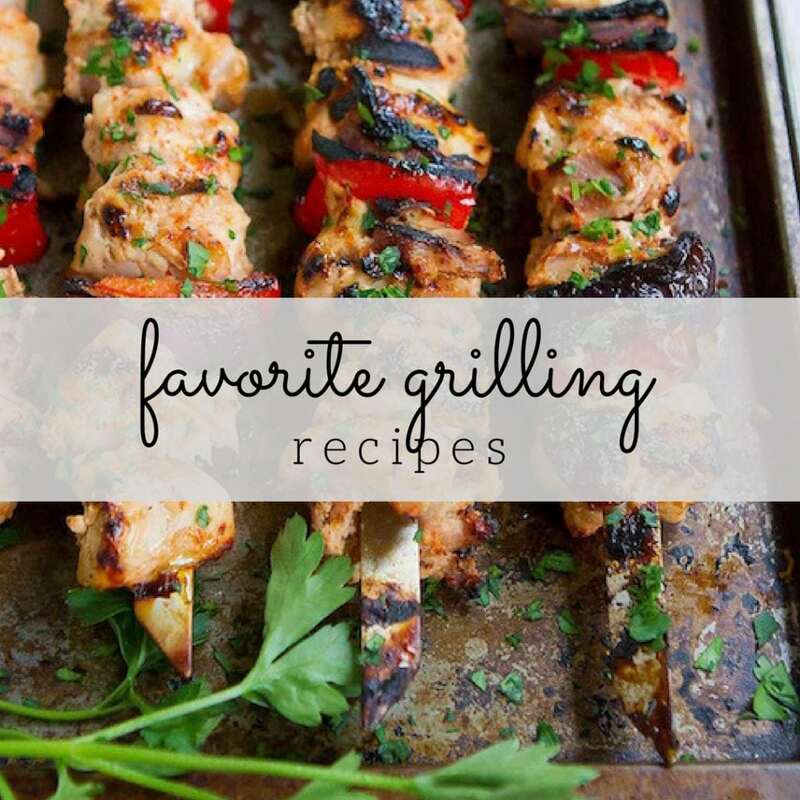 I’m always looking for ways to incorporate protein…yay for the week 5 challenge! Now that’s how I want to boost my protein! Love the colors! Oh and I’m loving the Healthy New Year 6-Week Challenge!! Thanks for putting it all together with Liz! 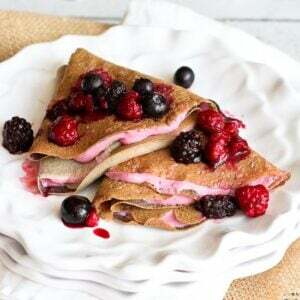 Beautiful crepes, love that berry yogurt filling too! Lovely! I definitely eat too much sugar and need to replace/balance with more protein. This recipe looks like it can do that and satisfy my sweet tooth! I would have never thought you’d reach for chocolate milk after completing a marathon. Just shows how little I know. This recipe looks wonderful. I’m loving the fresh berries and the buckwheat flour for the crepes. I adore crepes, and that filling is so vibrant and fresh-looking!! I adore crepes! I could eat them for breakfast, lunch and dinner! This looks fantastic! Oh, man! I love buckwheat pancakes, but I’ve never put it in crepes. This fact must change, like pronto! I can’t even imagine running to the mailbox let alone a marathon! haha That is so awesome! Gorgeous crepes!! That filling looks amazing! What incredible crepes! Worthy for any time of the day. I need more protein in my diet and this is a delicious healthy way to work some more into my menu. Thank you!!! I can’t wait to try these! I’ve really been wanting to cook with buckwheat and this looks like the perfect recipe to start with. Love the protein challenge, too. I always feel my best (and least hungry!) when I get lots of protein in.